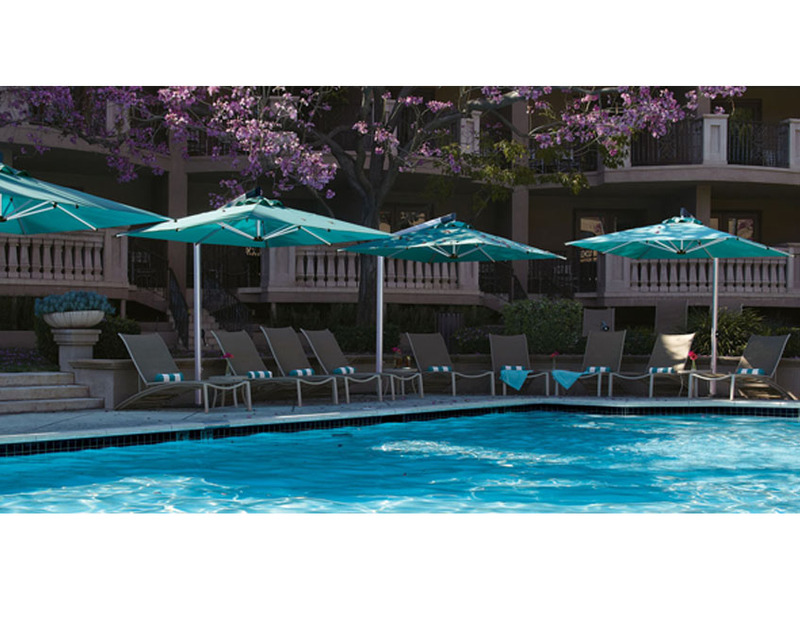 Patio & Things | Patio and Things carry the complete line outdoor umbrellas, patio umbrellas, commercial parasols, outdoor parasols, market umbrellas by Shademaker shade solutions available in square and octagon canopy shapes. 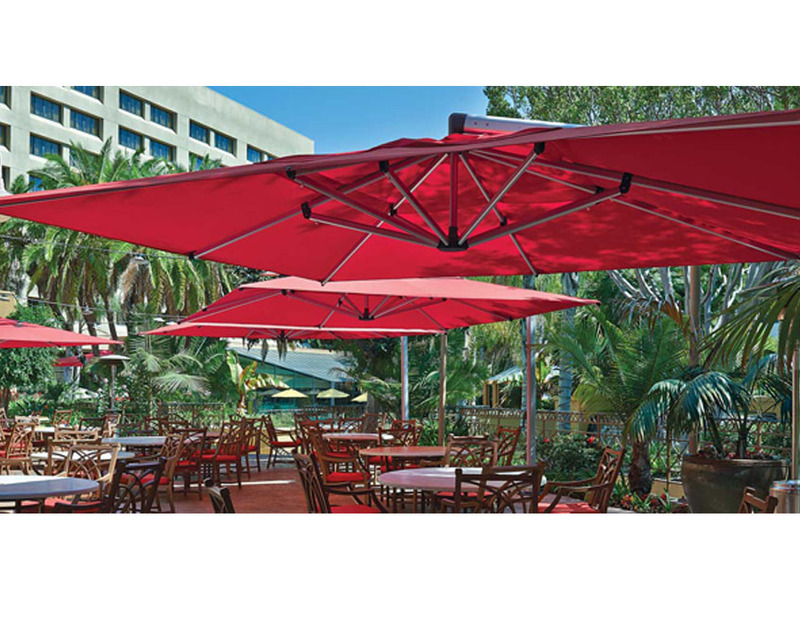 For more than a decade Shademaker has been the premier line of commercial shade for the finest restaurants, resorts, and country clubs around the world. 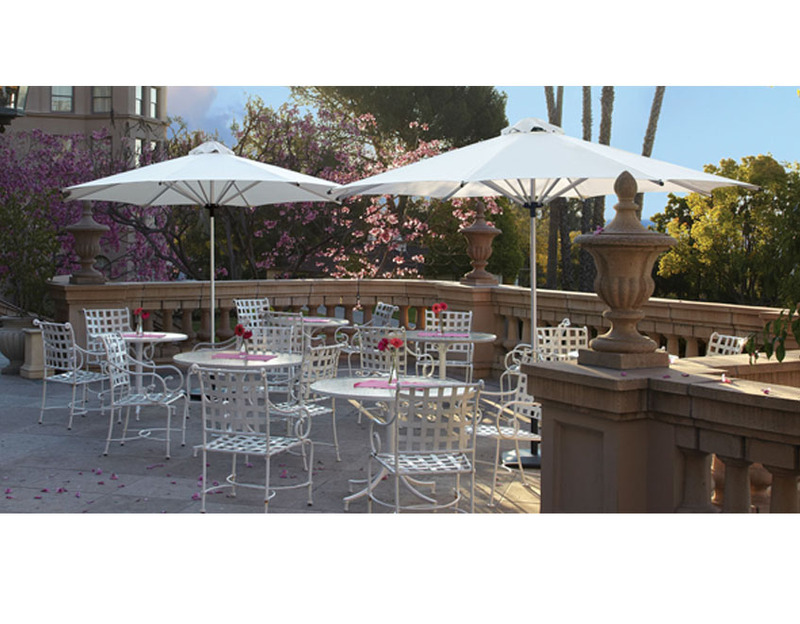 Patio and Things carry the complete line outdoor umbrellas, patio umbrellas, commercial parasols, outdoor parasols, market umbrellas by Shademaker shade solutions available in square and octagon canopy shapes. All models are designed to be mounted to any type of surface, including concrete, wood, and in-ground applications. 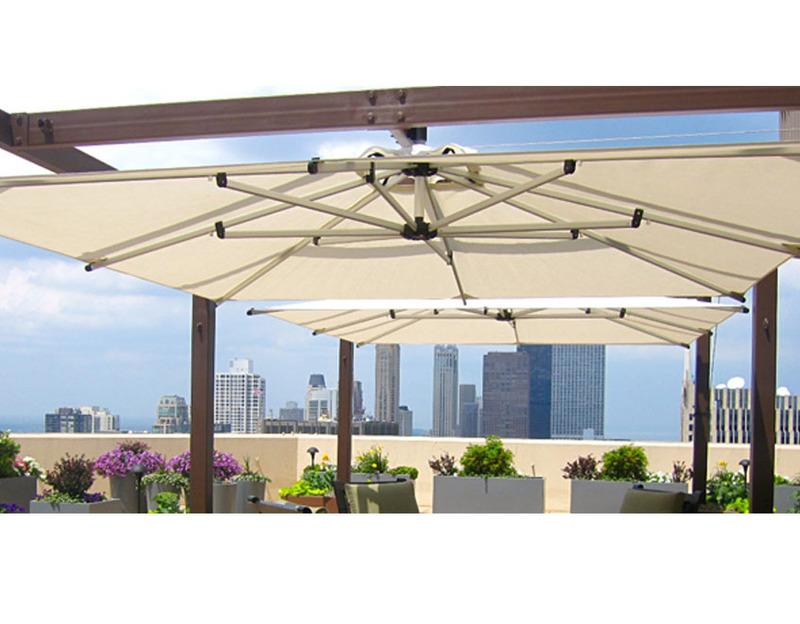 The modest and unobtrusive Shademaker mounting kits provide for a sturdy installation while permitting umbrellas for the patio or any architectural shade area, The shade are easily be removed for seasonal storage. 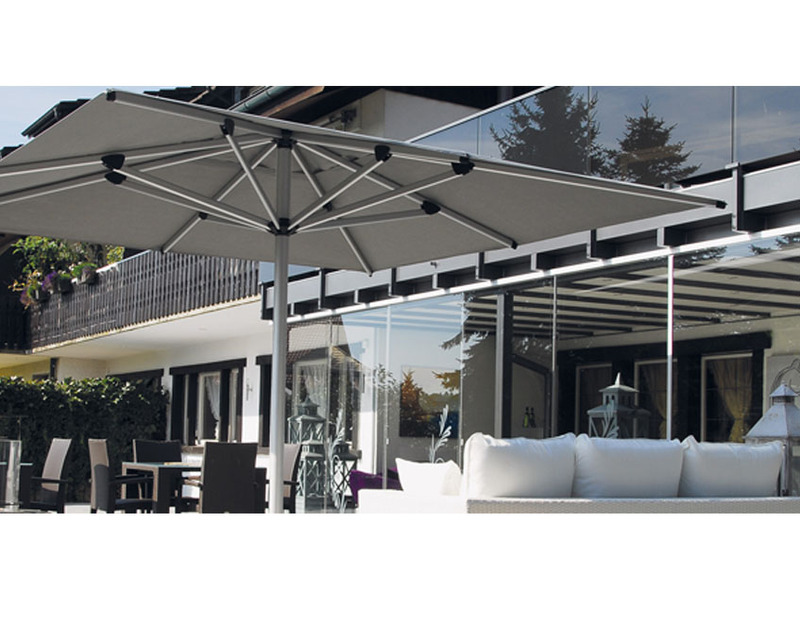 All side post models rotate 360° with the ease with Shademakers exclusive hideaway handle. Sidepost styles range from a 2.5M / 8’ 2” square to an 5.0M / 16’ 5” octagon, offering coverage from 67 to 212 square feet. 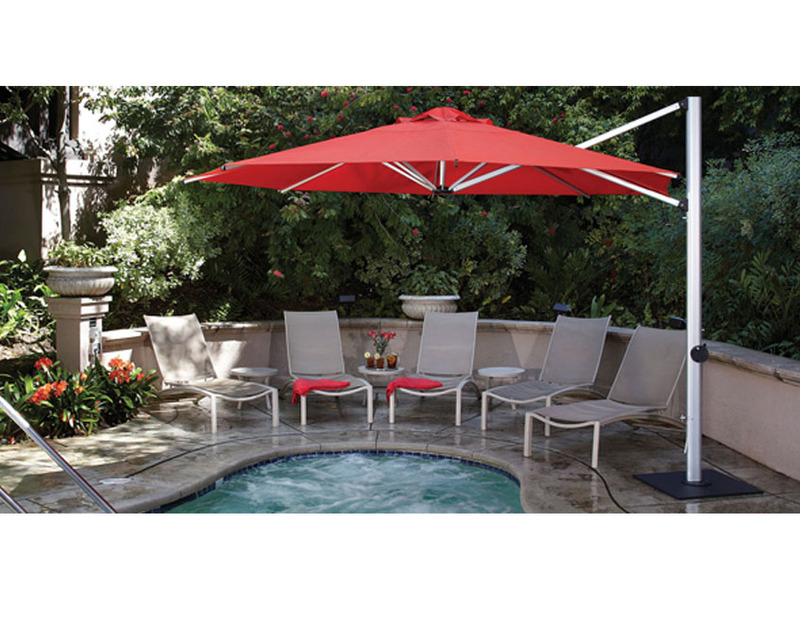 Shadmaker centerpost models are stronger than conventional market umbrellas yet embrace that classic “market style” look. Centerpost styles range from a 1.9M / 6’ square to an 5.6M / 18’ 5” octagon, with coverage from 36 to 266 square feet.